Who inspires me: [The drowned three-year-old] Alan Kurdi. To me he wasn’t just a Syrian refugee; he could have very well been my own son. Best advice: Solidarity work is only tough at first. Once you get to work your mind settles whatever disputes it may initially have on the issues of morality, pros and cons, good and evil and the merits of what you are doing. And when the mental dust settles, your reward is the tremendous and unique satisfaction that can only be obtained by helping a fellow human being. 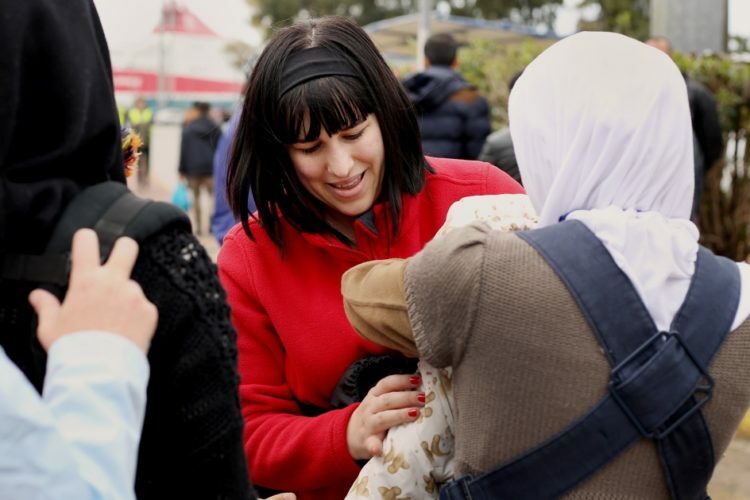 Cristal Logothetis was a young mum, happy but somewhat cynical about the world, when the now infamous image of the drowned three-year-old Syrian refugee Alan Kurdi flashed upon on her Facebook feed. Alan and his family had been fleeing Syria in search of refuge in Greece when their boat overturned. At first Cristal felt angry at having witnessed the picture of the tiny body lying face down in the sand. She went out of her way to avoid depressing news reports – after all, it seemed hopeless, what could she or anyone else do? Yet here before her was news of the most depressing sort. She felt betrayed personally at having to view the photo. And she felt outraged on behalf of the boy whose terrible death was being flashed across screens around the world. Cristal tried to push the image aside. Yet it occupied her every thought. She was the mother of a nearly two-year-old boy. Her husband came from the tiny Greek island of Kos, to which Alan Kurdi’s family was fleeing in search of refuge. But what could she or anyone else do? And suddenly it occurred to her – baby carriers. 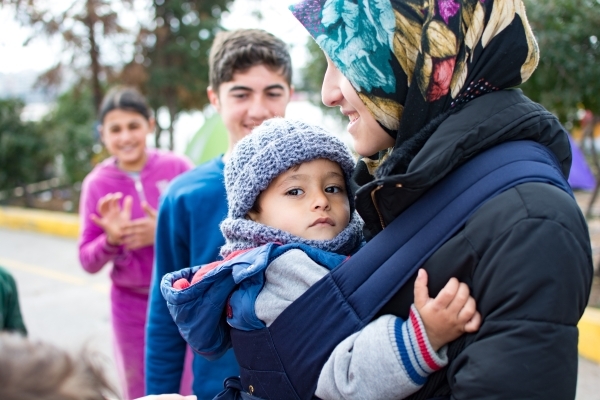 Surely refugees could only benefit from this device she relied on daily with her own son. The idea captured the public imagination and took Cristal on a journey which has not only eased the journey for thousands of refugees carrying children but also restored Cristal’s faith in humanity. … she felt outraged on behalf of the boy whose terrible death was being flashed across screens around the world. A Carry the Future volunteer fits a Syrian mother with a baby carrier. It just so happened that Cristal had recently returned from a trip to Europe on which she’d travelled alone with her toddler son. 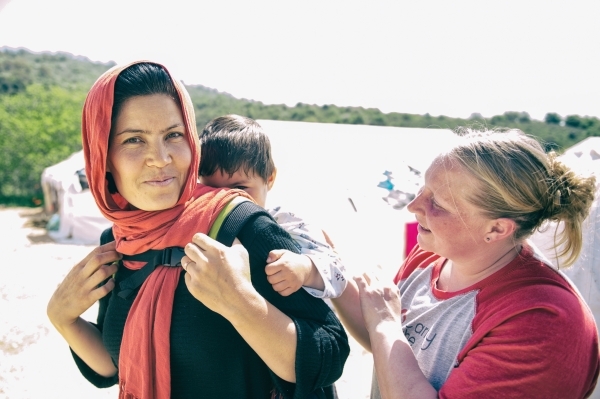 Her friends had been impressed by the adventurous undertaking but Cristal knew she’d only been able to manoeuvre through airports with luggage thanks to the baby carrier with which she’d transported her son. Cristal decided to go ahead and launch a crowdfunding campaign that soon went viral. Donations of baby carriers and funds poured in. 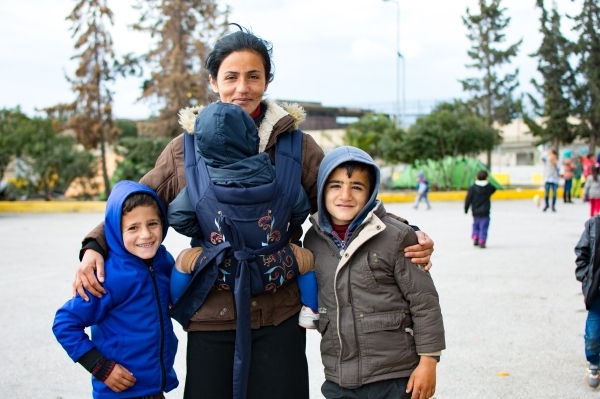 While Cristal initially planned to mail the baby carriers, such was the level of support that she embarked on a trip to Greece in September last year to distribute the baby carriers to refugees arriving by the hundreds aboard ferries in Kos. Wearing a baby carrier with a doll inside to model how it worked, Cristal approached the first family – would they like a baby carrier? No, came the confused reply. Worried, Cristal approached another family – a man who spoke excellent English, who was travelling with several women and children – and offered him the free carrier. “I’ll never forget his face,” she says. “He just said ‘really it’s for us, why?’ I said ‘it’s from America, a mother donated it to you so your wife and your child can be comfortable’ and his face kind of froze with this mixture of gratitude that you just can’t explain, mixed with grief – that’s when I knew I was onto something.” She went on to distribute all 500 of the baby carriers. In the meantime, donations of baby carriers and funds continued to take off at home in America. It became obvious Cristal would need to form a public charity – and Carry the Future was born. With the carriers and money came pleas to help from other mothers desperate to help. 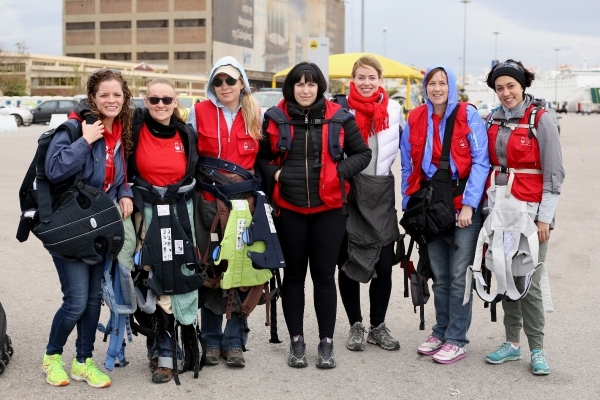 Cristal gathered a team of 10 volunteers and they returned to Greece several months later with 2500 baby carriers to distribute. All the while Carry the Future continued to grow. Women who had volunteered to help have transformed from fearful and hesitant to empowered in their ability to make change. Several have gone on to launch their own offshoot charities to help the refugees in other ways. Inspired by the newfound realisation that she has the power to make a difference, Cristal is now dedicating herself to a new project – creating an online social platform, Solideer, in which people can donate their time, resources and skills to work for a cause they deem worthy, whether it’s travelling halfway across the world to deliver clothing to an orphanage in China, or helping repair a veteran’s home in their own home town on the weekends. It’s a social platform that helps kindness to bloom.